1779 From the will of John Smith dated I2th June 1779, it appears that he owned Summerleaze at that time (though it was not then known by that name) having some time previously purchased it from James Cullimore, subject to the life estate therein of Elizabeth Cullimore (living there in 1758 and 1761) Then, as later, the property consisted of the house and orchards with two fields adjoining the house. In 1779 George Howell was living in the house which had previously been inhabited by Elizabeth Cullimore. In his will which was proved. at Gloucester Feb. 6th I78I, (John Smith having died in 1780) he left the property to his son-in-law John Pullin, in lieu of a sum of money previously devised to his daughter Hannah before her marriage to John Pullin. After John Pullin's death the property was to go to Hannah for her life and then to the heirs of John Pullin. John Smith, yeoman, was baptized at Tytherington in 1715, he married Elizabeth Dimmery in 1737 by whom he had 12 children though four of them died in infancy. 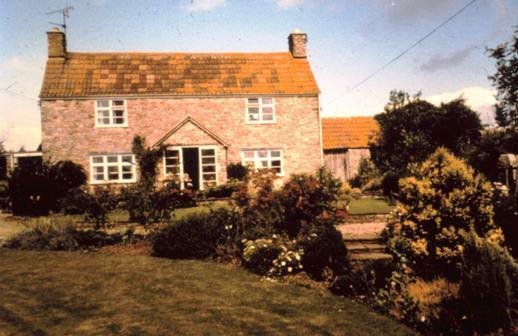 (Photograph right shows Summerleaze Farm c 1960 prior to construction of garden in the farmyard). 1799 John Pullin of Cromhall, son-in-law of John Smith died in 1799, when the property devolved to his wife Hannah. the property was to go to their eldest son John Pullin after his mother’s death. 1815 By. 1815 John Pullin had moved to Stidcote with his wife and family and died at Summerleaze that year. His eldest son John inherited the property and continued to live there with his mother Mary (nee Alway). 1817 In 1817 Mary and John were both living at Stidcote, Mary renting the property as tenant to her son John. The mortgage from James Day was repaid with the interest due to Samuel Day an executor of the will of James Day who had died in 1813. 3 r 18 p; The Moor I acre 31 p; The Close 3a. Ir. 10p making in all a total of 5 acres 2 roods and 33 perches. 1831 John Pullin was now living at Yate but his mother Mary continued to live at Summerleaze. In 1822 John had married his cousin Ann Briard Pullin of Wickwar and may have moved then or soon after. He was living in Yate in 1824 when his eldest son was born. In 1831 he mortgaged his property at Stidcote to Leonard Bennett, yeoman, of Falfield for £300. 1833 John Pullin raised another £150 in mortgage on the property from Leonard Bennett. Some time between 1833 and 1837 he moved to Oxenton, did he need money to buy a farm there? 1848 John Pullin repaid £100 of the mortgage with interest to Leonard Bennett. 1851 John Pullin died intestate and his eldest son Thomas became his heir at law. Letters of administration were granted to his widow Ann in 1855. 1859 In 1859 Thomas Pullin then living at Oxenton, Gloucestershire, agreed to sell the property, then occupied by James Hook as tenant, to Thomas Garlike of Wickwar, gentleman, who wan negotiating on behalf of William Vellender of Cromhall, a gardener and bachelor. property, later known as Pendick's Farm, was in the occupation Mark Webb, but owned by William Pendock. 1860 The following year Thomas Garlike, then resident at Hampton Villa, Cotham Road, Bristol transferred the mortgage to Hannah Keel of the same address and Sarah Keel of Westbury on Trym. 1872 In 1872 William Vellender died, but his wife continued to farm. Hannah Keel married William Andrew Cox of Bagstone in I874 but continued to administer her own estate separately from her husband. (In 1875 Richard Hobbs Smith owned the later Pendick's Farm, having inherited it from his father John Smith who died. in I873) 1883 In 1883 Mrs. Anne Vellender paid 1s.6d as one year chief rent to H.L.Hardwicke, for whom the receipt was acknowledged by William Hudson. This probably represents a remnant of the manorial dues. 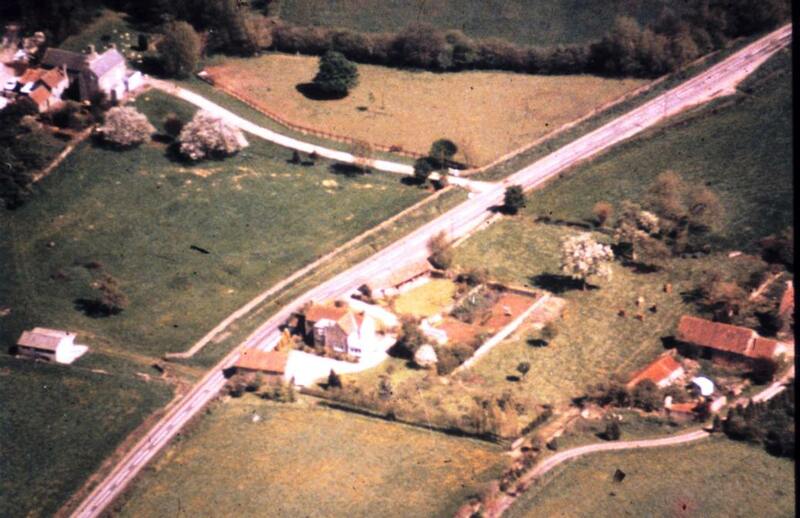 1887 In 1887 Anne Vellender sold the property to Robert Alway of Iron Acton, a retired butcher for £650. £300 of this was used to pay off the mortgage to Mrs. Hannah Cox of Bagstone, by now a widow and Sarrah Keel who lived with her. The fields now have different names and renumbered according to the Tithe Map numbers of 1839. The house and buildings (T.M. 198 ) contained 26 perches, the orchard ( T.M. 199 ) 1 acre and 10 perches, The Mead (formerly The Moor) (T.M. 199d ) 1 acre and 26 perches, Stidcote Close (T.M.200) 3 acres and thirty seven perches, making a total of 5 acres, 2 roods and 19 perches. Robert Alway now took up a mortgage of £400 from Elizabeth Matilda Harriet Brown of 27 Caledonia Place, Clifton, a widow. The following year Robert Alway, now of Tytherington, put the property up for sale. 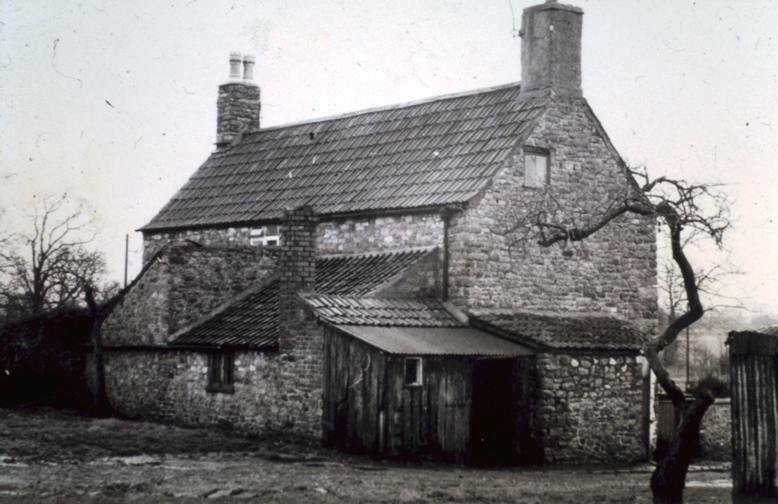 The Bill of Sale describes it as a compact small freehold property at Stidcote, three quarters of a mile from Tytherington Station, two and a half miles from Thornbury, consisting of a dwelling house with stable, barn cattle sheds, piggeries and other out buildings, a well stocked and most productive walled fruit and vegetable garden, rich orcharding and excellent pasture and arable land containing all together 5 acres 2 roods and 19 perches. The house which is in good repair contains 2 sitting rooms 3 bedrooms, with attics over, kitchens, Pantry, dairy, brew house and offices. It was sold for £515to Richards Hobbs Smith of Tockington Park Farm, Olveston, yeoman. Of the purchase money £400 was used to pay off the mortgage from Elizabeth Brown and the remaining £115 went to Robert Alway. Photograph below shows Summerleaze after alteration c 1970. 1892 Richard Hobbs Smith, now described as a retired farmer of Olveston, mortgaged the property to James Pearce of Slimbridge, John Barton tanner of Kingsweston, yeoman, and Thomas Pearce of Long Ashton, Somerset, for £500. Included with the property was a close of meadow or pasture land formerly two closes known as “Hawkin’s Mead " and " The Tyning " or "Batten's Tyning” and containing 3 acres 1 rood and 2 perches. (T.M. 216 and 217). This field was bordered by the Glebe lands and Combe Lane, and other properties formerly in the occupation of and belonging to John Smith the father of Richard Hobbs Smith. (Richard Hobbs Smith was a second cousin to Isaac Parker Drew of Stidcote Farm and married the latter’s niece Emily Drew daughter of his brother Richard Drew). 1904 Some time prior to 1904 Herbert Henry Welch became tenant of the Summerleaze property. He may have come from Wiltshire and had been a coal hauler before he came to Stidcote. He had a son Herbert who worked for him and after his marriage lived in the cottage called the Nursery where Peter Grudgings now lives. He had two daughters one of whom was disabled and the other emigrated to Manitoba with her husband not long after the birth of their daughter Violet Farthing, who was brought up by her grandparents at Summerleaze. When Herbert Welch’s wife died he moved from the Nursery back to Summerleaze, where his sister looked after him. His father kept cattle on Sticott Splat and used to lean on a stick watching them. He cut a seat in a hawthorn bush on which he used to sit whilst guarding the cattle. Richard Hobbs Smith in his later years ran the Exchange Hotel (now called the Knot of Rope) in Thornbury. His wife Emily was well known for owning one of the earliest bicycles in Thornbury which was silver in colour. 1920 In 1920 Richard Hobbs Smith paid off his mortgage from James Pearce, John Tanner and Thomas Pearce, and presumably sold Summerleaze to Herbert Henry Welch, who took up a mortgage of £600 from Mary Ann Drew of Stidcote in that year. In 1920 Richard Hobbs Smith also sold Pendicks. Farm then known as Stidcott Farm (the present Stidcote Farm was then known as Stidcote Park Farm) and in the occupation of John Henry King, together with the Great New Leaze (T.M. 187 and 188), the Long Mead (T.M. 223 and 224) and the Upper Ground (T.M. 125). All these fields were in the occupation at the time of John King, who purchased the farm and the fields with the exception of the Great New Leaze which was purchased by Mary Ann Drew. 1930 In 1930 Herbert Henry Welch raised another mortgage of £100 on Summerleaze from Mary Ann Parker Wilcox of Ashworthy Farm, Cromhall, an executor and beneficiary of the will of Mary Ann Drew who had died in 1928. 1937 In 1937 mortgages were foreclosed and the property taken over by Mrs. Wilcox. 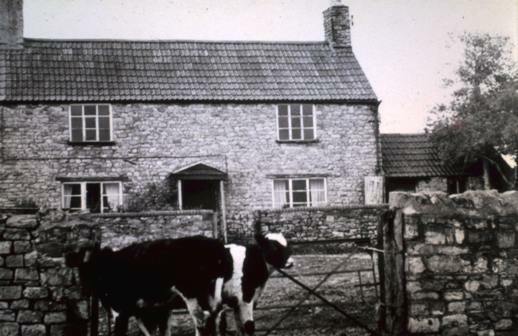 Herbert Welch, the son who had taken over the farm after his father’s death, went to live in a cottage near Tanhouse Farm, Yate. 1964 Summerleaze was purchased from the estate of the late Mrs. Wilcox by her daughter Joan Stephens.